Architects and great museum collections continue to combine in a variety of bids to transform cities and tourism, reinvigorate their milieus, and in some instances redefine what a museum can be. Last year saw the Museum of the Bible open in Washington DC designed by SmithGroupJJR; the Museum of Modern and Contemporary Art in Djakarta by MET Studio; the Remai Modern designed by Bruce Kuwabara in Saskatchewan; the Musée Yves Saint Laurent in Marrakech; the King Abdulaziz Center for World Culture in Dhahran, Saudi Arabia, designed by Snøhetta; the Institute of Contemporary Art in Miami by Aranguren & Gallegos Arquitectos; Estonia’s national museum was an unlikely success situated on a former Soviet airfield in the middle of nowhere, created by a Paris-based multinational team of young architects DGT (an Italian-Israeli, a French-Lebanese, and a Japanese), and the Zeitz Museum of Contemporary Art Africa in Cape Town designed by Thomas Heatherwick within the historic Grain Silo Complex. It was quite a year. This year has plenty to match that list from Cambridge to Cairo and Copacabana. 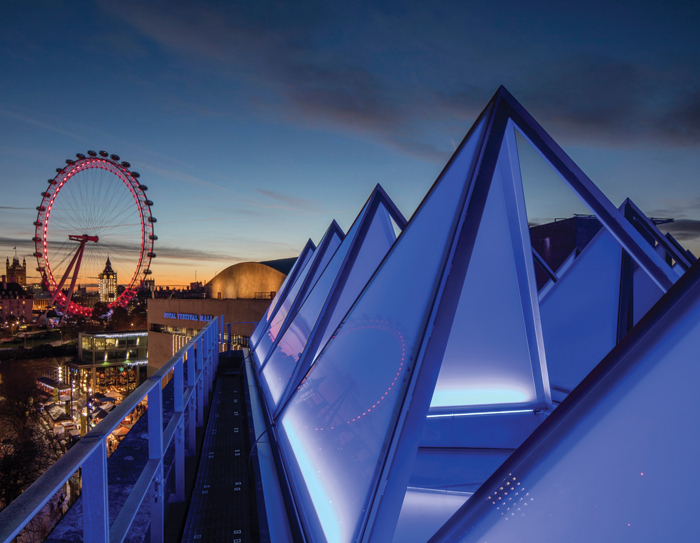 The Hayward has been shut since September 2015 for a much-need facelift, that involved putting a stop to it leaking, and replacing 66 pyramid roof lights. FCB Studios has been responsible for the £35m project that still needs to raise upwards of £400,00 to cover the cost. Last year the Main opened the first phase of its three-building, experimental art museum in downtown Los Angeles.In February Tom Wiscombe completed a mezzanine gallery with a 12m glass wall, along with five artist-in-residence studios. Frederick Fisher and Partners has redesigned the Getty Villa in LA, adding 279 sq m to the venue allowing a reorganisation of its display of antiquities, switching from a thematic presentation to a chronological one. The most radical art space to launch in Paris in decades opened this spring in a five-storey, 19th-century building in the Marais. The headquarters for the cultural arm of the Fondation d’Entreprise Galeries Lafayette, known as Lafayette Anticipations, was designed by Rem Koolhaas and OMA at an undisclosed cost. It includes a glass and steel exhibition tower in the building’s courtyard, which operates as a ‘curatorial machine’ according to a project statement, incorporating four mobile platforms that move in and out of sight, allowing 49 different spatial configurations. The Looking Ahead renovation of Kettle’s Yard by Jamie Fobert Architects has transformed the 1957 gallery with a new education facility and remodelled exhibition spaces that cost £11m. Also this spring the Equal Justice Initiative, a non-profit organisation committed to fighting for racial and economic injustice, opened the Legacy Museum: From Enslavement to Mass Incarceration, in Montgomery, Alabama, to explore the ‘legacy of slavery, racial terrorism, segregation, and contemporary issues of mass incarceration, excessive punishment, and police violence’. Edinburgh now has a new contemporary art gallery, the Collective, housed at the historic City Observatory site, which has undergone a £4m restoration. Katerina Koskina, the director of the National Museum of Contemporary Art in Athens, has said that it will finally be fully open this year; Goldsmiths Centre for Contemporary Art is due to open in London in September, and the National Museum of Sweden in Stockholm is due to reopen in the autumn with an enlarged exhibition area. Meanwhile Herzog de Meuron’s revitalisation of the Central Police Station in Hong Kong will resurface as the Tai Kwun Center for Heritage & Arts, and The Nordic Heritage Museum has a new $45m home in Ballard, Seattle, wrapped in a ‘vertically striated zinc skin’. Having won what was possibly the largest architectural competition in history, Heneghan Peng has designed the $1bn Grand Museum of Egypt, located less than a mile from the Pyramids, to house the world’s largest collection of Egyptian artefacts. 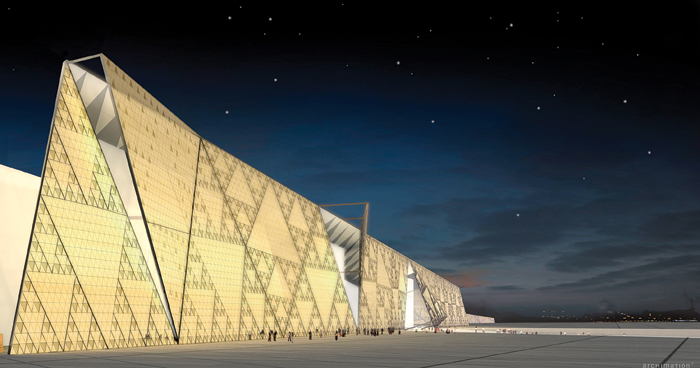 A translucent stone wall, backlit at night, ‘veils’ the triple-peaked, 100,000 sq m structure and its shaded courtyard. The privately funded for-profit photography museum Fotografiska, is expanding across the pond to New York’s Flatiron District with a six-storey building, but only after it opens an outpost in Whitechapel designed by Fletcher Priest. 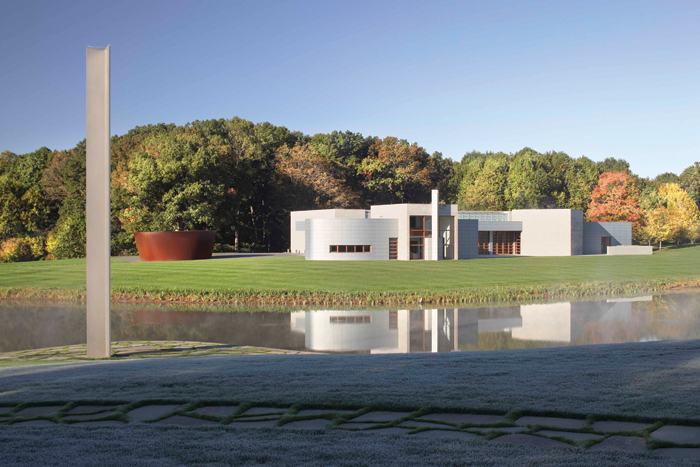 One of the USA’s lesser-known private museums, the Glenstone, is about to become one of its largest, stretched across 200 acres outside Washington DC. Dedicated to contemporary art the design is by Thomas Phifer and Partners with landscaping and a water garden by Peter Walker of PWP. Ole Scheeren has designed a contemporary building to contrast with the heritage site of the Guardian Art Centre in Beijing. The Tank in Shanghai makes use of decommissioned industrial buildings including five oil tanks that were part of Longhua Airport as part of a 60,000sqm cultural development due to open in November. The responsibility of Beijing practice Open Architecture, it will provide an anchor for the new West Bund art district. Diller Scofido & Renfro has designed the long-awaited Museum of Sound and Vision on Copacabana in Rio that is due to open in December with a ‘vertical boulevard’ leading up eight floors of galleries, theatres and restaurants. Following on from the Louvre Abu Dhabi last year, Jean Nouvel has a second major museum opening at the end of 2018, the National Museum of Qatar, its interlocking disc design inspired by the desert rose. Finally, the end of the year should see the Mumbai City Museum open its new wing designed by Steven Holl Architects. 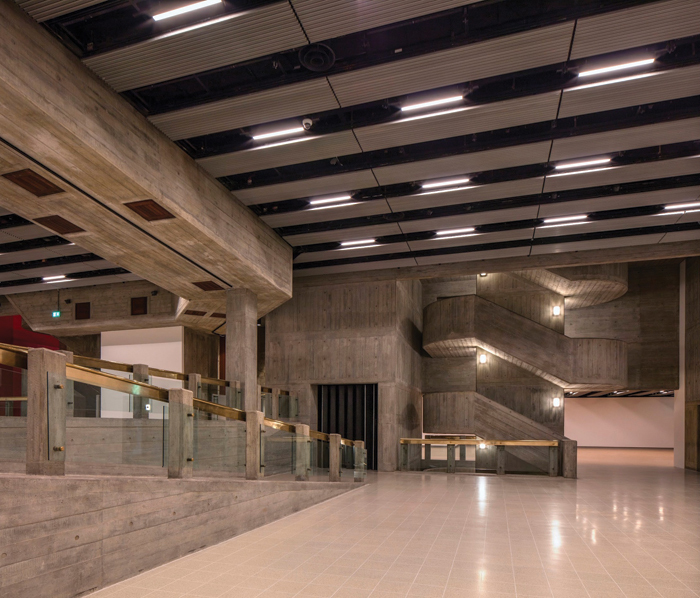 His firm was also responsible for the new 3,810 sq m Institute for Contemporary Art at Virginia Commonwealth University in Richmond, that opened at the end of April at a cost of $41m. I wish them all well and hope that their building programmes deliver as promised. And when they are completed I must also hope that they have exhibits to put in them. The Palestinian Museum, a truly fabulous piece of design by Heneghan Peng, was completed in 2016 and won a World Architecture Festival Award in 2017 together with a Leadership in Energy and Environmental Design Gold certificate. Just 25km from Jerusalem, the building blends seamlessly into the rural landscape around Bir Zeit surrounded by four hectares of terraced gardens cascading down the hillside, with 69 varieties of flora from mulberry and marjoram to Judas trees and Palestine oaks, and an ancient olive tree symbolising ‘the relation of Palestinians to the land and hanging on’. Built to address Palestinian history, society, and culture, and help to unify a people scattered throughout the West Bank, the Gaza Strip, and around the world, the museum opened without any exhibits, in a place where all the travel restrictions mean not many people are able to visit. A powerful presence in some ways that emptiness symbolised the decades of failed peace efforts. It was a reminder of the Jewish Museum in Berlin, the building that launched Daniel Libeskind on the world at a time when his work had been called ‘unbuildable and unduly assertive’. Completed in 1999 it stood empty for two years. It was in those years that it was at its best. An old Jewish friend who grew up in Berlin in the Thirties, and survived, was overwhelmed by it. For him, the 20m-high voids that slice through the building communicated perfectly the void in the life of the city caused by the erasure of Jewish life and history, humanity reduced to ashes. After two years the exhibition was inserted and he hated how the building’s terrible beauty had been shorn away. Surely they could do better than the poor quality of the permanent exhibition, the oppressive nature of the young guards now dictating one’s every movement, again? Why did they need that exhibition at all? The building said it all.